There is nothing wrong with a little teamwork. The superhero genre has been working towards the team-oriented concept for some time now. 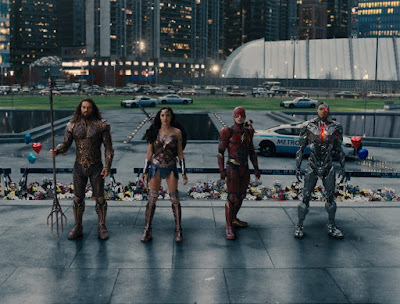 While the Marvel Cinematic Universe was the first to successfully achieve this feat with “The Avengers”, talk about a D.C. Comics Justice League movie has been brewing for some time now, long before Marvel thought about bringing a team of heroes to screens. While audiences have already got a taste of what a Justice League feature film might feel like with 2016’s much maligned “Batman v. Superman: Dawn of Justice”, the D.C. Extended Universe has finally found some focus on how to make a superhero film resonate beyond just the diehard fans. “Wonder Woman” was the first successful step, paving the way towards a “Justice League” film that is far less serious than past films in this superhero catalog and more aware of giving into the entertaining indulgences of humor, heart, and spectacle. While this emphasis renders the narrative left on the back burner, “Justice League” is undeniable fun if altogether somewhat dull. Bruce Wayne (Ben Affleck) knows that bad things are abounding now that Superman (Henry Cavill) is dead. In an attempt to get a head start on the oncoming threats, Bruce and Diana Prince (Gal Gadot) are in search of other metahumans to help the fight. This leads Bruce to the sea in search of a man named Arthur Curry (Jason Momoa) and to Central City to find a young man named Barry Allen (Ezra Miller). Diana on the other hand is looking for a scientist (Joe Morton) and his son Victor Stone (Ray Fisher). However, things may be too late as a formidable foe named Steppenwolf is looking to destroy humanity. 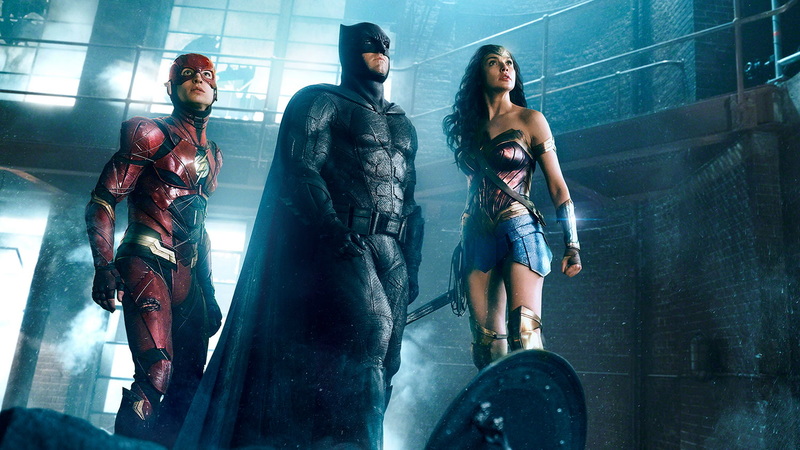 “Justice League” is different than previous D.C. Comic film outings; gone is the stiff emotional demeanor and long winded storytelling. This time around it’s looser and witty, freer to let characters embrace the amusing qualities of their characters. The film is still a noisy mess of visuals and the villain is still an indomitable CGI creation that doesn’t have the personality to challenge the heroes in any way that seems intimidating. 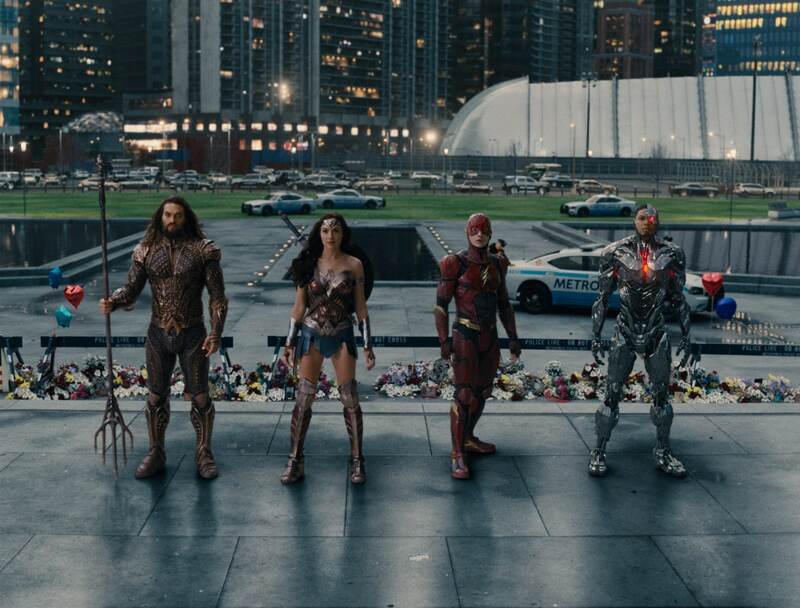 Still, “Justice League” has flashes of promise, especially when the team unites. While this takes some patience over the 120 minute running time, there is fun to be had in watching these comic book characters interact with witty banter and clever verbal jabs. The team of actors together develops some good chemistry. Again the highlight of this film is Gal Gadot’s Wonder Woman, her character is ultimately the tie that binds the group together. It’s a smart move considering Batman is still somewhat brooding here, though even the Dark Knight is offered a few moments of levity. Ezra Miller and Jason Momoa are the characters that offer the most entertainment; Mr. Miller’s Flash adds a naive youthful element to the team that offers the actor moments to cut the tension with a clever joke while Mr. Momoa basically gets to be a laid back surfer of sorts. Both actors seem to be having lots of fun with the roles. It all adds up to an entertaining if wholly unoriginal film. 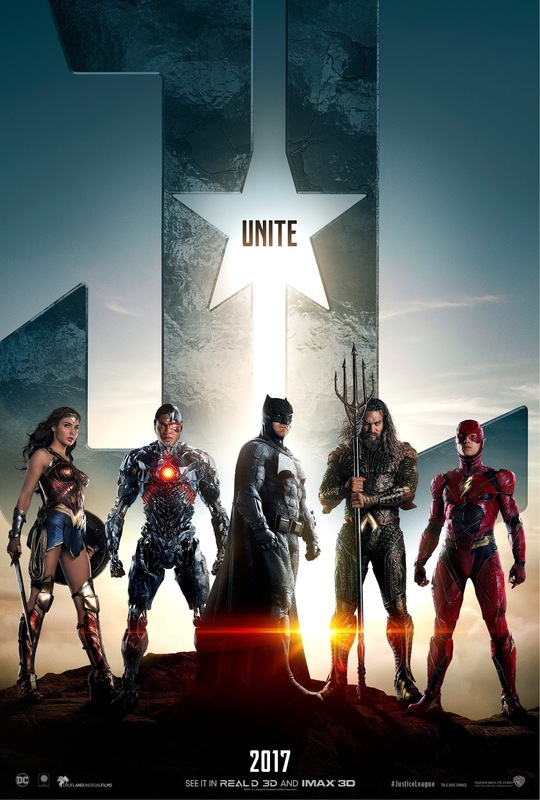 Everything within “Justice League” has been done before; the action scenes, the comedy, the composition of the team, it all feels familiar and somewhat stale. Still, for a franchise of superhero films that has struggled to get off the ground, “Justice League” is much better than earlier attempts by the D.C. Extended Universe. Unfortunately that’s not saying very much but hopefully this is the first step towards better films in the future.